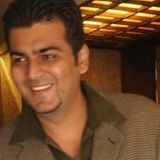 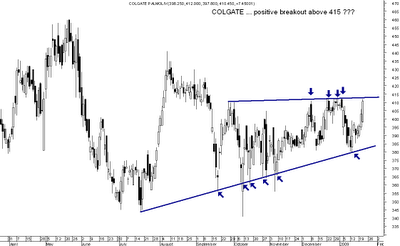 Colgate after HUL seems another FMCG stock seeing good buying. 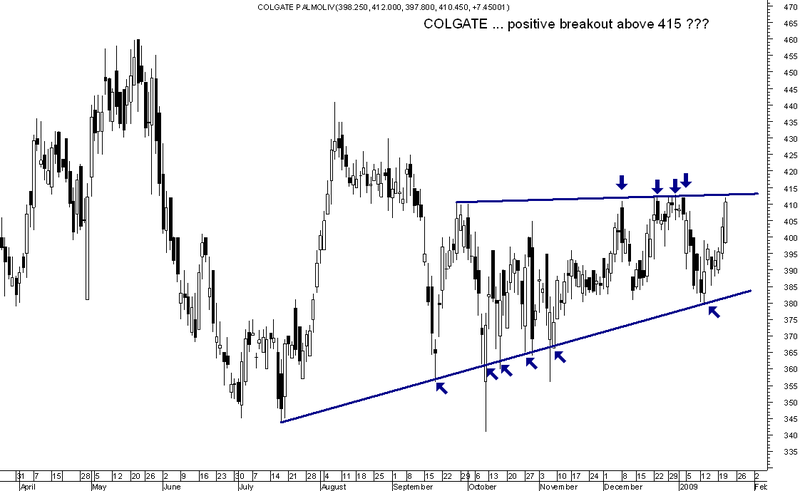 Above 415 would be a technical breakout in short term. 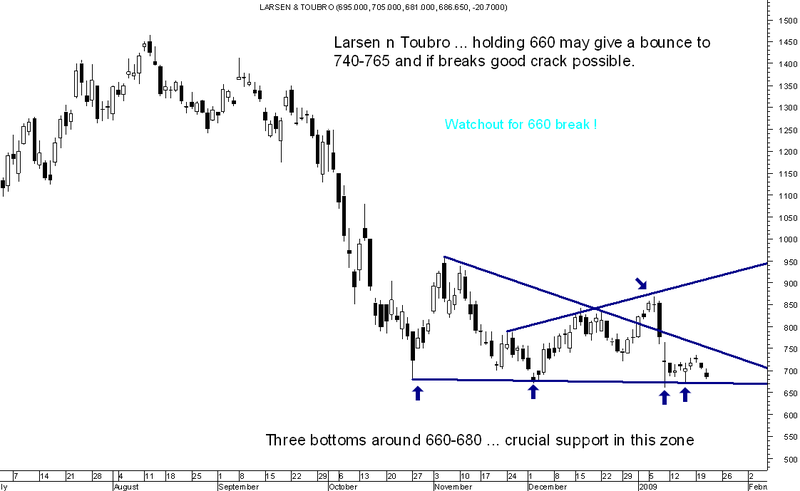 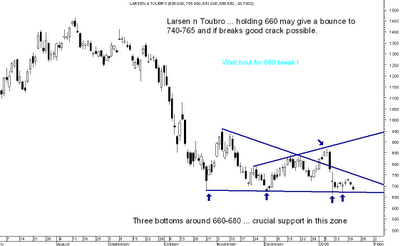 LNT : Just posting back the chart again. 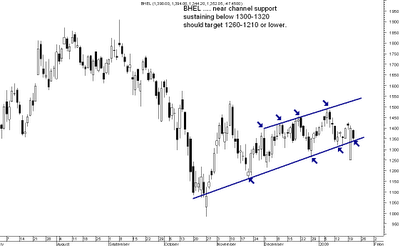 The stock is near to channel support . 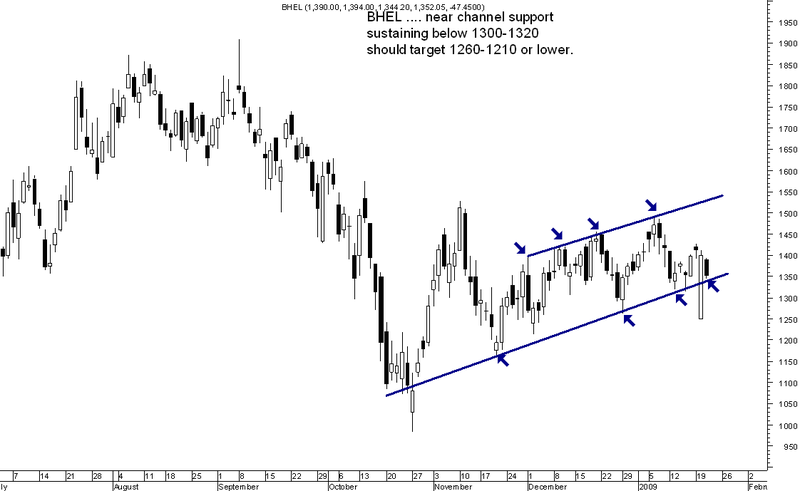 Break below 1300-1320 could target 1260-1210.